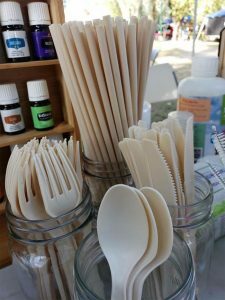 With all the single-use plastic bans coming into effect around the world, there is a demand for biodegradable alternatives. The trouble is some biodegradable plastics are still made from fossil fuel, and 80 percent of biodegradable “bioplastics” are made from food sources, like corn. And… biodegradable plastics typically cost around 40 percent more than regular plastic. A Mexican biochemical engineer named Scott Munguia has come up with a solution. 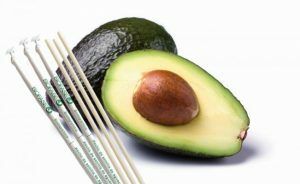 His company Biofase is located in the heart of Mexico’s avocado industry, where it turns 15 tons of avocado pits per day into biodegradable straws and cutlery. The pits, discarded by local companies that process the fruit, would’ve otherwise been headed for a landfill. So not only are his production costs dirt cheap, he’s helping cut back on agricultural waste. The company is then able to pass that savings along to the consumer, keeping prices equal with conventional plastic. Avocado seed bioplastic doesn’t cut into our food supply or require any additional land to be dedicated to its production. And best of all, it’s truly biodegradable unlike many “biodegradable” plastics. fully decomposing in just 240 days, compared to conventional plastic which is estimated to take 500 years to break down and never fully biodegrades. If kept in a cool, dry place it can last up to a year before it starts degrading. 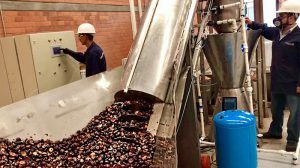 Munguia figured out how to extract a molecular compound from a pit to obtain a biopolymer that could be molded into any shape, Mexico Daily News reports. “Our family of biodegradable resins can be processed by all conventional methods of plastic molding,” the company tweeted.